Special Guests: Peter James Smith and William Duffy! 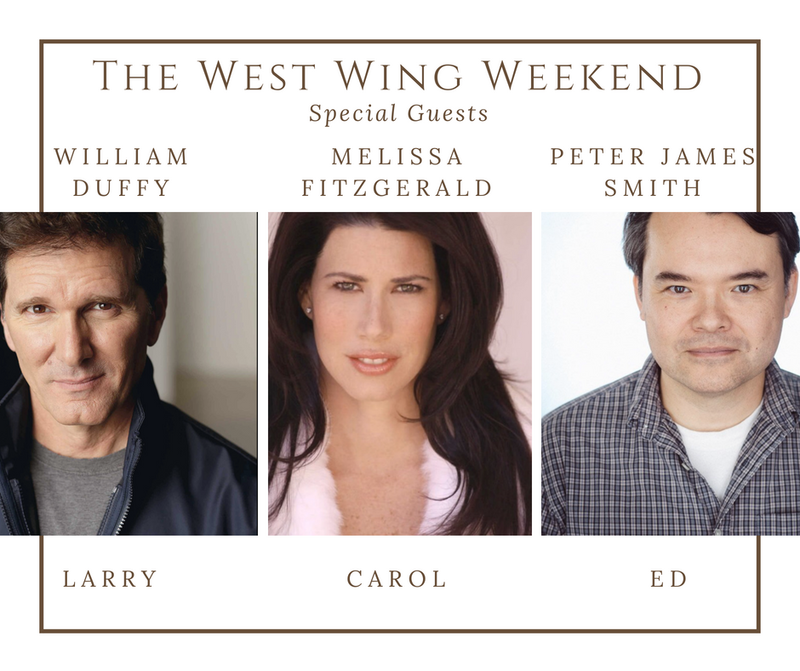 Ed (Peter James Smith) and Larry (William Duffy) will be joining us, and previously announced guest Carol (Melissa Fitzgerald) at The West Wing Weekend! Programming Sneak Peek and Call for Submissions! Kickstarter ends by EXCEEDING GOAL!